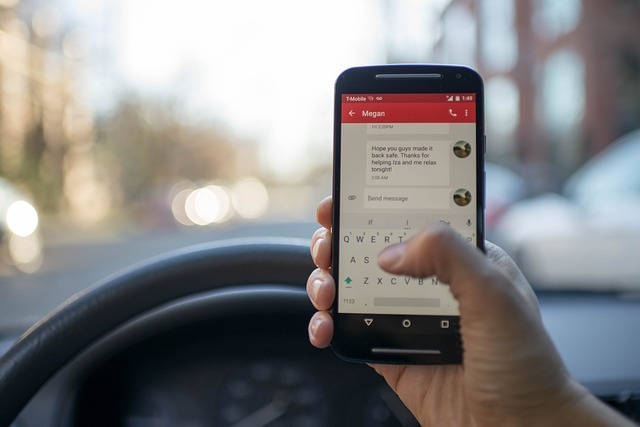 Texting and Driving in Virginia | What is Lawfully Stopped? That said, from a criminal defense perspective, the law somewhat ambiguous. What does “Lawfully Parked” or Stopped mean? According to Section (B)(2), you are allowed to operate a cell phone when “lawfully parked or stopped.” What is lawfully stopped according to a Virginia court? Lawfully stopped could include situations like waiting at a stop light or stop sign. Because the law isn’t clearly defined, we are only able to guess what the law makers intended. If legally stopped is meant to include drivers at stop lights, this creates a new issue. Drivers who are distracted by cell phones while waiting at traffic lights are not attentive to the signals. They may miss a green light and block the cars behind them. What should you do? Put away the phone! This is a good reason drivers need to put away their phones entirely while driving. Since “lawfully stopped or parked” is not clearly defined, it would be safest to presume that no driver should use their phone unless their car is parked. If you are actively operating a vehicle, keep your phone away. James Abrenio is BenGlassLaw’s practicing criminal, DUI, and traffic attorney. If you have a question about a traffic case, call BenGlassLaw at (703)584-7277.